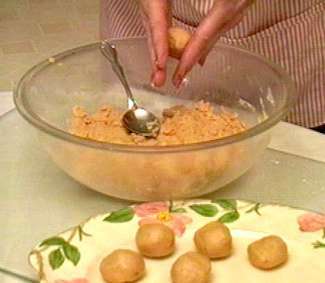 Look for complete recipe ingredients on my Candy & Sweets page. 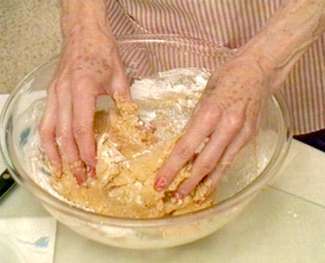 Mix the peanut butter mixture by hand. 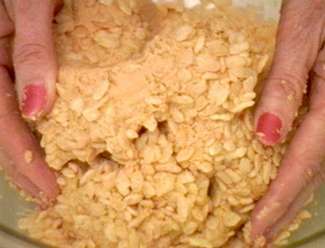 Add Rice Crispies and continue mixing by hand.